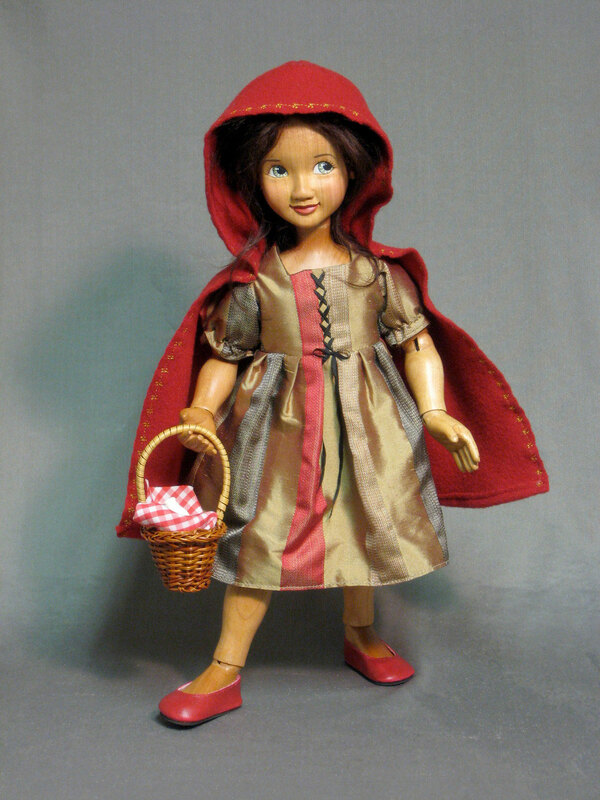 Little Red stands 13″ in height and has an amazing 13 moveable joints for maximum poseability. She is hand carved from Western Maple wood and finished with a non-toxic clear coat that gives her a very natural look. She is wearing a beautiful silk dupionni dress and a wool cape that can be removed for cleaning or to change her outfit. Her shoes are red leather mary janes. 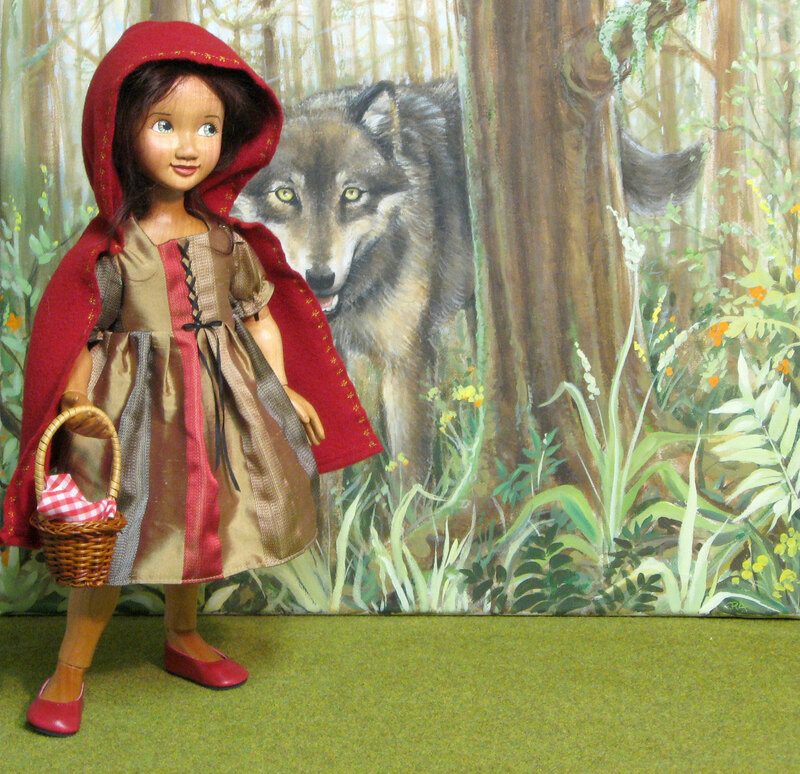 Little Red has dark brown braided hair, which is an exquisite mohair wig and she comes with basket of goodies ready for Grandma. Little Red is limited to 50 pieces worldwide and is numbered and signed by the artist on her foot. Her backdrop is signed and numbered to match the doll. Little Red Riding Hood is currently SOLD OUT. Please Contact us to order.